Dr Jane Hunter is a Senior Lecturer in the School of Education conducting postdoctoral research in STEM. Her background is in secondary and primary school teaching, technology integration and teacher professional learning. Prior to her appointment to UTS in February 2016 she held leadership roles as a head teacher in secondary schools, in government bureaucracies in education policy and in large-scale technology innovation programs including the Teaching and Learning Exchange, the Connected Classrooms Program and Quality Teaching. She taught in teacher education at the University of Sydney for a number of years before a secondment to the Interim Committee for a NSW Institute of Teachers and the Australian Government Quality Teaching Program. From 2010 unitl early 2016 Jane was a Lecturer in the Master of Teaching program in the School of Education at Western Sydney University where she also completed her PhD. Throughout her education career in both universities and ‘outside the academy’ Jane has circulated findings of her research in book chapters and scholarly papers. She also enjoys writing for public forums like The Conversation, there is a HPC blog and her active profile on Twitter @janehunter01 means regular engagement with education colleagues more broadly. Jane is regularly invited to conduct professional learning with education system leaders, and in schools with teachers and principals where there is a focus on pedagogical change in classrooms. She is passionate about teachers developing their sense of identity and autonomy, and is committed to mentoring early career teachers as they commence their work in schools. In 2018 Jane was a finalist in the UTS Vice-Chancellor's Awards for Research Excellence; the previous year she was recognised for research excellence by the Australian Teacher Education Association [ATEA] in the Early Career Reseacher category. Earlier in 2017 she was a NSW Famelab finalist for UTS and contiinues to represent the university and the School of Education in invited keynote addresses and symposia. Jane's doctoral thesis was awarded the NSW Institute for Educational Research: Beth Southwell Research Award for Outstanding Thesis .The book published from her dissertation is titled: Technology integration and High Possibility Classrooms: Building from TPACK (Routledge, 2015). The pedagogical framework that emerged from the research findings High Possibility Classrooms [HPC] is being used in a number of primary schools in NSW, the ACT and Victoria to build teacher capacity and confidence in the STEM disciplines. 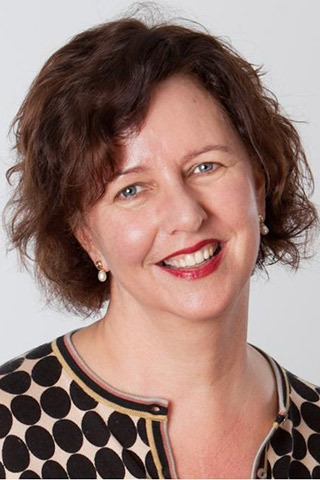 She is the recipient of national and international teaching awards for outstanding contributions to student learning in Australian universities; these include the UTS Teaching and Learning Award for Social Impact (2018), United States Society for Technology in Teacher Education (2014), Office of Learning and Teaching (2013), Western Sydney University (2012) and University of Sydney (1999). Jane is on the editorial review board of a number of leading education journals and is an active member of various teacher education and curriculum associations. AI in school education, STEM education, technology enhanced learning, pedagogy, school curriculum and teacher professional learning. Technology Integration and High Possibility Classrooms provides a fresh vision for education in schools based on new research from in-depth studies of technology integration in exemplary teachers' classrooms. This timely book meets the demand for more examples of effective technology integration by providing a new conceptual understanding that builds on the popular and highly influential theoretical framework of technological, pedagogical and content knowledge (TPACK). A growing body of work in the field of student voice research now involves students as co-collaborators. Small-scale inquiries increasingly provide opportunities to incorporate digital technologies into participative research with young people. This article presents the findings of an inquiry that seized on ideas of 'students as knowledge creators' and 'democratic fellowship' to explore the question: What makes a good school? Twelve students representing different age groups in a comprehensive high school in Australia were coached in 'knowledge creation' in a workshop led by an academic partner. This co-inquiry was designed to maximize student involvement and engagement in research processes using software applications. The design included developing skills in survey construction and focus group facilitation among a larger group of peers. Results demonstrated not only a readiness to use these skills but also enthusiasm to investigate what their peers believed would make their school a better place. Emerging themes included students wanting more responsibility for their own learning, improvements in the school's physical environment, and the use of more technology in classroom learning. This small-scale inquiry was part of a comprehensive investigation that focused on improving the school's strategy of positive behaviours through consultations with staff and community stakeholders. Further research that harnesses digital technologies to the skills of 'students as knowledge creators' and collaborators is recommended. published as a collection of case studies in a new book on technology-enhanced learning. Understanding how well teachers integrate digital technology in learning is the subject of considerable debate in education. High Possibility Classrooms (HPC) is a pedagogical framework drawn from research on exemplary teachers' knowledge of technology integration in Australian school classrooms. The framework is being used to support teachers who teach various stages of schooling to take 'pedagogical steps' in their practice with technology. This article focuses on the use of the HPC conceptual framework in a study of seven teachers and their students at two secondary schools in New South Wales, Australia. Analysis confirms the practicality of this conceptual framework for technology integration in secondary school classrooms. This inquiry has implications for addressing the reluctance of teachers to integrate technology in curriculum. The article concludes by suggesting that more schools might consider using conceptual frameworks like HPC to support secondary school teachers to enhance student learning with technology. Digital technology and the internet are ubiquitous in the lives of people across the globe. With that reality in mind, school education is required to embrace a number of new learning challenges if it is to meet students' employment and social needs. Technologies like the internet, support new forms of learning, based on "bottom-up principles of collective exploration, play and innovation" (Selwyn, 2013, p. 198), which encourage learning through authentic activities and interactions. Not only is technology about engagement in teaching and learning in school classrooms, it is changing the way that education occurs. This circumstance is reflected in the Australian Curriculum (AC), which is now more differentiated, more collaborative and more creative because it considers the opportunities for technology in student learning. Mitchell, J., Hunter, J. & Mockler, N. 2010, 'Connecting classrooms in rural communities through interactive whiteboards', Australasian Journal of Educational Technology, vol. 26, no. 4. Mitchell, J, Hunter, J & Mockler, N 2010, 'Connecting classrooms in rural communities through interactive whiteboards', Australasian Journal of Educational Technology, vol. 26, no. 4. Hunter, JL 2010, 'Ideas for using blogs in a social education context and an Australian learning tools project', The Social Educator. Hunter, JL 2010, 'blogED in the Connected Classrooms Program is for pedagogy and student learning', Scan. Hunter, JL 2008, 'Connected Classrooms creating learning communities using video conferencing technology and Quality Teaching', Scan, vol. 27, no. 4. Hunter, JL 2007, 'Fresh equation: quality digital resources + interactive whiteboards + collaborative tools = engaging pedagogy for the classroom'. Hunter, JL & Jimenez, S 2004, 'Civics and Citizenship education: What pedagogy? What possibilities? ', Australian Curriculum Sudies Association. framework builds teacher agency in STEM and that being involved in professional development conducted, as a research experience is beneficial. The paper argues for greater teacher professional development resourcing in schools to make STEM an education priority, and it concludes by recommending that more middle school teachers consider pedagogical scaffolds to integrate curriculum and enhance their professional knowledge in STEM. Hunter, J.L. 2015, 'High Possibility Classrooms: A New Model for Technology Integration' in Handbook of Research on Teacher Education in the Digital Age. This book focuses on the needs of teachers as they redesign their curricula and lessons to incorporate new technological tools. Including theoretical frameworks, empirical research, and best practices. Hunter, JL 2014, 'We are not talking to our kids: are we causing speech delay?' in A Year in the Life of Australia, Future Leaders. Connected learning using video conferencing, the interactive whiteboard and Web 2.0 tools is possible in the new 'interactive classroom' more than 2,240 New South Wales public schools will receive over the next four years. In Australia the New South Wales Department of Education and Training (NSWDET) is delivering $AUS 158 million of infrastructure and services to schools and technical and further education campuses for new technologies and applications to support teaching in the 21st century. The intention of the Connected Classrooms Program is to create a 'large connected and collaborative learning community' of teachers, students and parents that can go online for information, resources and communication 'anywhere, anytime' across a state that covers over 800,000 square kilometres. This paper describes the three projects in the program, the underpinning prior work and seven teacher professional learning platforms that reference anticipated learning outcomes and future directions. In its third year, this case study is a descriptive insiders snapshot. It provides an overview for project administrators and participants in other national and international education milieu who may be responsible for planning and implementing enhanced technology environments. enhanced by, a close alignment between the above dimensions of practice. Hunter, JL, 'Exploring technology integration in teachers' classrooms in NSW public schools'.